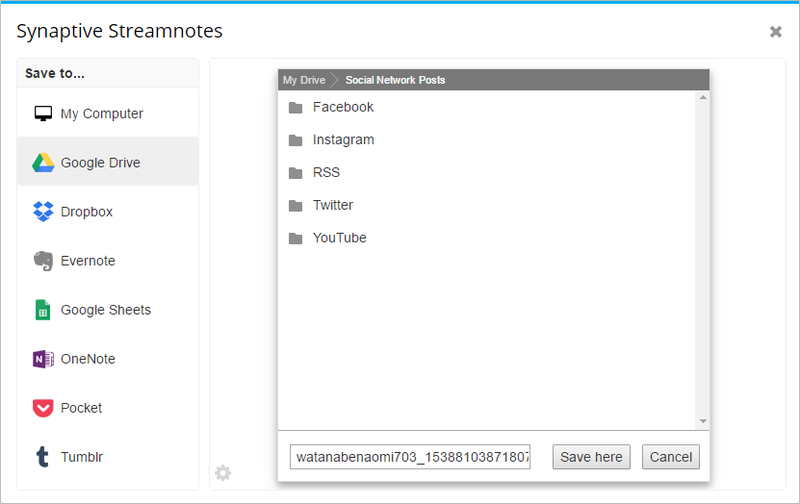 Happy to announce that you can now save PDF and CSV files to your Dropbox or Google Drive cloud files with Streamnotes. 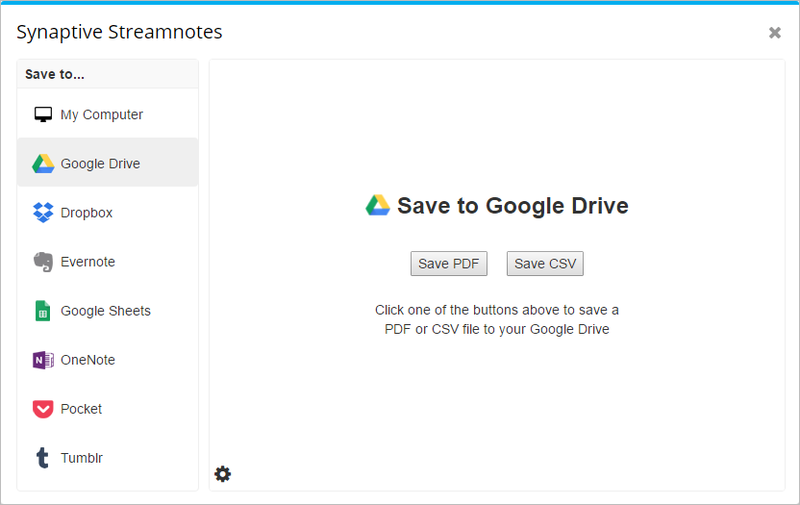 Simply click Google Drive or Dropbox from the list of destinations on the left, then choose PDF or CSV to save, and finally select the folder you want to save the file to. Using a different cloud file service? Let us know!